Appam is a weekly once dish in my house. I have already put many appam varieties like Appam with Coconut Milk, Egg Aappam, Beetroot Aappam, Ballon Vine Appam, PalakAppam. This aappam made with jowar/sorchum/cholam which I saw in a blog (here). I have tried it and it came out well. I strongly recommend for you too to try. Click HERE to view Jowar Recipes. Preparation Time: 30 mins | Cooking Time: 10 mins | Yields: 20 nos. 1. Wash and soak the raw rice for 3 hrs. 2. Wash and soak the cholam for 7 hrs. 3. Wash and soak the urad and fenugreek seeds together for 3 hrs. 4. First grind the urad dal into fine paste using grinder or mixie with sprinkle water little by little. 5. After ground the urad dal, take the urad dal paste from the grinder and keep it aside. 6. Grind the raw rice into little bit coarse paste. 7. Then add the cholam and grind them together into find paste. 8. 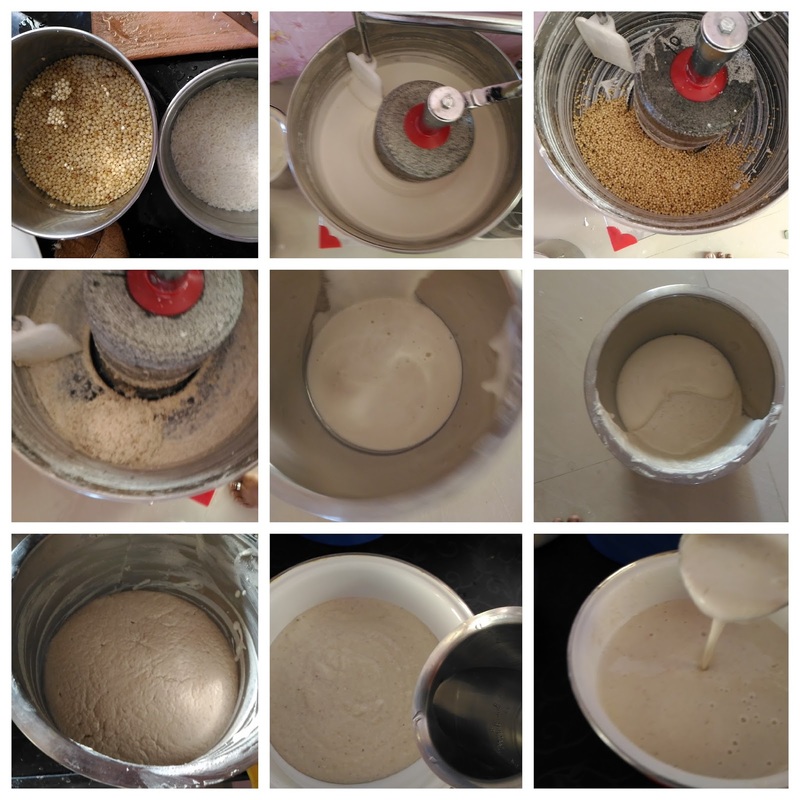 Mix this raw rice – cholam paste with urad dal paste. 9. Add salt and mix them well with your hands. Close the lid of the pan and allow it to ferment for 8 hrs or overnight. 10. After fermentation mix the batter with ladle and transfer into small bowls. Then keep it in the refrigerator for later use. 11. Before making aappam, add little bit water with the batter. The batter should be in pouring consistency. 12. Heat the appam pan and pour few drops of oil. Then pour ladle full of batter into the pan. Now rotate the pan in a circular motion, so that the batter spreads all over the pan. 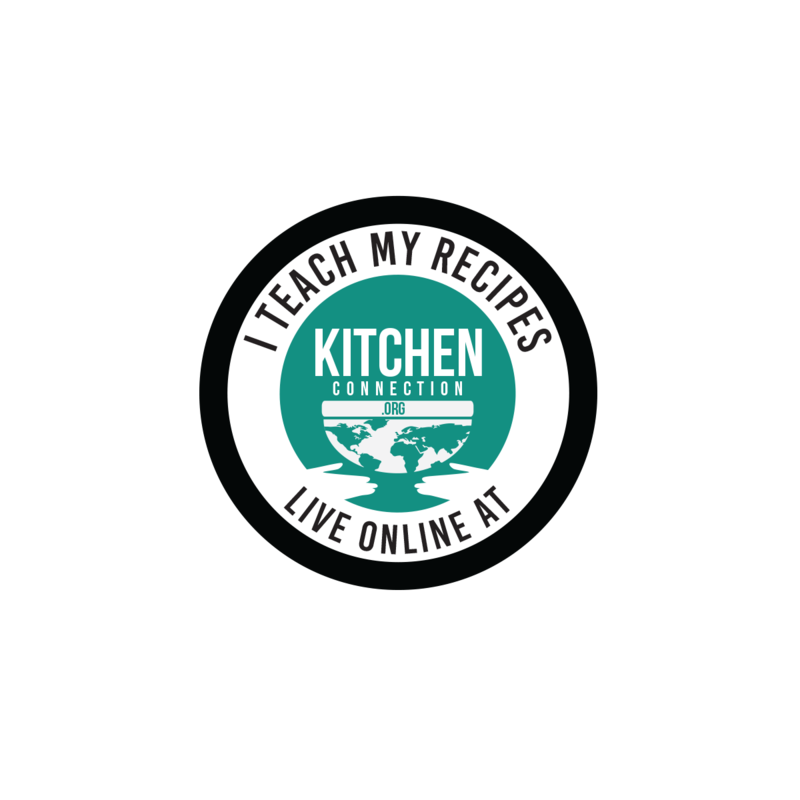 See this video for how to make aappam. 13. Now pour few drops of oil and close the lid of the pan. 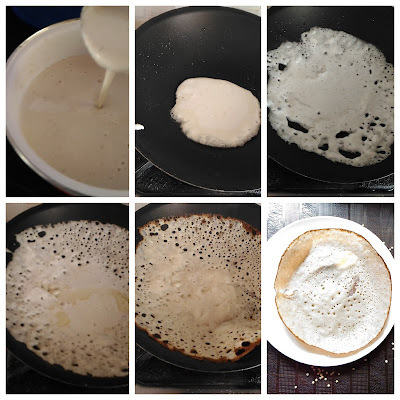 Cook for 2-3 mins or till the appam is cooked well. 14. Then take it out from the pan and serve with spicy chutney. 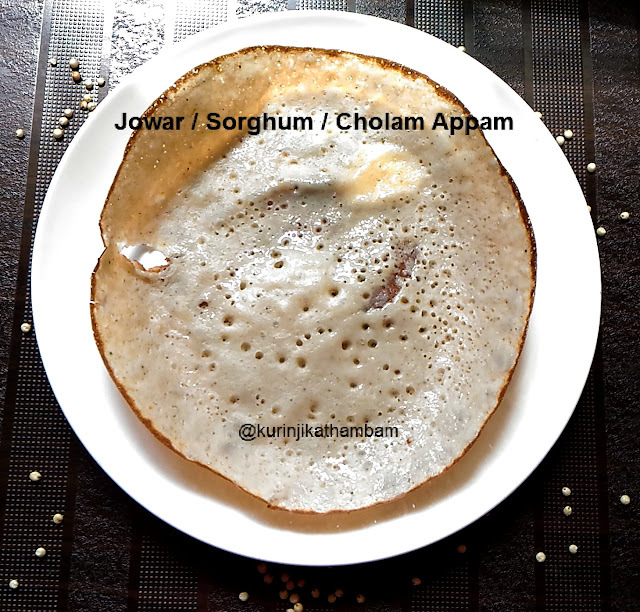 Tasty, Healthy and mouthwatering appam is ready! 1. You should not use parboiled rice instead of raw rice. Raw rice only gives nice texture to the appam. 2. Adjust the urad dal level according to your urad dal.